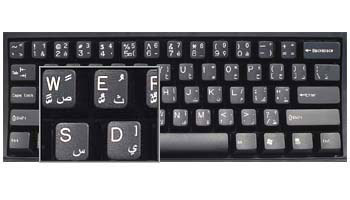 DataCal has been manufacturing quality keyboard language labels, also known as keyboard stickers, for over thirty years in Gilbert, Arizona. DataCal labels are made with durable polycarbonate, 3M®adhesive and are printed sub-surface to provide years of use. Language labels are easy to apply or remove and stay comfortably in place.